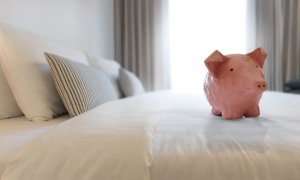 Mattresses can cost thousands of pounds, but you don't need to pay this much to buy the best. We explain how to find the best mattress for you. Want a good night’s sleep? Deciding which type of mattress to buy is only part of the story. If you want a mattress that you'll be happy with for years to come, you’ll need to make a few other key decisions. From the best way to try out a mattress in a shop to make sure it's going to be right for you, to what you need to look for in a mattress guarantee to make sure you don't get caught out, we’ll explain everything you need to know to ensure you get the right mattress. We've put mattresses of all types through our tough tests - go to our mattress reviews to find the one that's best for you. Our April 2017 survey of more than 3,000 mattress owners revealed that three in ten Which? members bought their current mattress because it's made by a brand they trust. If you're not sure what the best mattress brands are, we can help. Check out our guide to the best and worst mattress brands. This reveals what people think of the brand of mattress they own, including how comfortable it is, and it covers major brands such as Ikea, John Lewis, Sealy and Silentnight. How much do you need to spend on a new mattress? 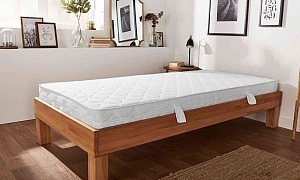 A new mattress can cost anywhere between a hundred pounds and several thousand. Factors like brand, size and the type of materials used can all have a significant impact on cost. We've found you don't need to spend a fortune to get a mattress that supports your spine and lasts for years. But our mattress tests have found that you don’t need to spend a fortune to get a mattress that will support your spine and last for years to come. Sort our mattress reviews by price to find our cheapest Best Buys. Which type of mattress should you get? The type of mattress you choose all comes down to your personal preference and budget. Most Which? 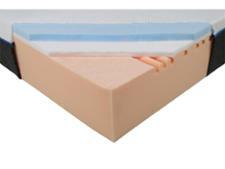 members choose pocket-sprung mattresses. But unlike memory foam mattresses, they don't mould to your shape. You'll also see continuous coil and open coil mattresses, which are usually cheaper than the other types of mattress, as well as latex mattresses. For more information about mattress types, see our guide to choosing the best type of mattress. Buying a mattress online may be cheaper and more convenient but, unless you’re buying a bed-in-a-box mattress (see below), it’s always best to try a mattress before you buy. Even if you feel a bit awkward doing this in a shop, don't let it put you off - you're going to be sleeping on the mattress for years, so it's important you make the right choice. When we asked Which? members about their experience of buying a mattress, over a third of them told us they feel intimidated trying out a mattress in the shop. A good mattress shop shouldn't mind you doing this. See our guide on the best mattress shops. When you go shopping for a new mattress, wear comfortable clothing and remove your outdoor gear. Lie on a mattress for at least 10 minutes, in positions that you normally sleep in. 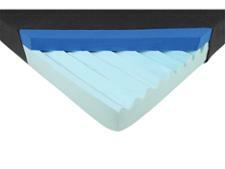 Sit on the edge of the mattress – it should be firm, not saggy. 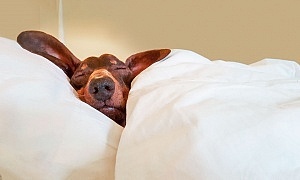 Don’t shop for beds when you’re tired, as all the mattresses will feel great. If you’re buying a memory foam mattress, relax in one position, then move into another. Was it easy or did you struggle to move? If the latter, you might find the memory mattress will restrict your movement too much, especially in cold weather when the memory foam will be harder. Don't let sales assistants influence you – they can’t decide whether the mattress is comfortable for you. If the bed is for two, shop together. If you’re looking for a bargain mattress, one option is to try a few mattresses out in a shop, before going home to search for the best price online. That’s what 5% of Which? members did when they bought their last mattress, according to our 2017 survey of more than 3,750 mattress owners. But some 14% bought online without trying their mattress first. That sounds risky - especially when we’ve just recommended you try a mattress before you buy - but it’s not if you buy a bed-in-a-box mattress. By cutting out the retailer and selling direct from manufacturer to consumer, many brands claim you’re getting a higher-quality mattress for less. Most online-only mattresses offer a sleep trial of at least 10 weeks. During this time you can try the mattress at home and send it back for a full refund if you don’t like it. In most cases, the manufacturer will collect the unwanted mattress from your house for free before recycling it or donating it to charity. We’re yet to test a bad one. Between August 2016 and July 2017, seven of the eight Best Buy mattresses we uncovered could only be bought in a box. Read our individual mattress reviews for more details about terms and conditions, or head to our list of the top five bed-in-a-box mattresses. Manufacturers may encourage you to buy a mattress and bed base together, and this is a good idea if you’ve had your old base for many years. If you buy the mattress and base separately, or are going to keep your old base, measure carefully to make sure they’re a good fit. Dimensions can vary so don’t rely on a new double mattress being exactly the same size as your old one. Is your mattress going on to a slatted base? Then make sure that the slats are no more than 6cm wide or more than 4cm apart. 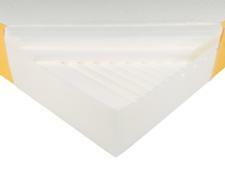 This ensures sufficient ventilation, whilst preventing the mattress sagging through between the slats. Make sure you know what your rights are if there's a problem with your mattress. Each of our mattress brand reviews has information on the different guarantees that come with each mattress, so you won't get caught out. Most guarantees for mattresses will not cover gradual wear and tear, which leads to loss of support. So make sure you use our mattress reviews to pick out a durable mattress that will stand the test of time. Most mattress guarantees will not cover gradual wear and tear. Before you buy your mattress, check whether there’s anything in particular, such as removing labels or using a base other than a recommended one, that would invalidate the guarantee. It's important that you unwrap your mattress as soon as you get it home - leaving the plastic wrappings on could lead to rot. Most bed mattresses have a distinctive chemical odour when you first unpack them, but some can be particularly smelly. Leave your mattress to air for a week before use and the fumes should disperse. Now you know how to go about buying the best mattress for you, check out our best mattress recommendations to reveal the mattresses that will support your spine and last for years.